A Russian government agency is considering legal action against a tobacco giant whose advertising suggests that Russia’s Kuril Islands are part of Japan. RIA Novosti news agency is reporting that Russia’s Federal Antimonopoly Service (FAS) may bring the charge against British American Tobacco, the world’s second biggest tobacco company. 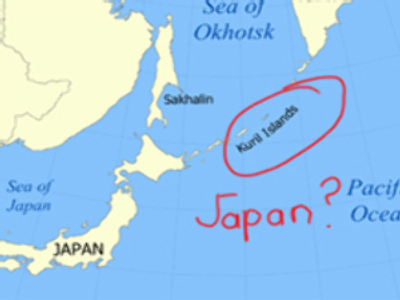 The recent Kent cigarettes advert shows the Kuril Islands, in Russia’s Sakhalin Oblast region, as part of Japan. The mistake has prompted complaints from Russians and the FAS says it has broken a law which says adverts must not insult the patriotic feelings of its citizens. British American Tobacco’s Russian arm was formed in 1991. It comprises international and Russian cigarette brands such as Dunhill, Kent, Vogue, Rothmans, Pall Mall, Alliance, Yava Zolotaya and others. It was established in 1902, when the United Kingdom's Imperial Tobacco Company and the American Tobacco Company of the USA agreed to form a joint venture. The FAS already has experience of fighting advertisers. In April this year the service fined a shop owner in the city of Omsk. In the leaflets advertising her shop the businesswoman used an image which resembled the Statue of the Motherland in the city of Volgograd. The statue was a symbol which inspired soldiers who fought the Nazis during World War II, known in Russia as the Great Patriotic War, and on the leaflets the image came with a frivolous comment.